This is another one of my mother-in-law’s amazing recipes that I’ve wanted to blog about since I first tried it. 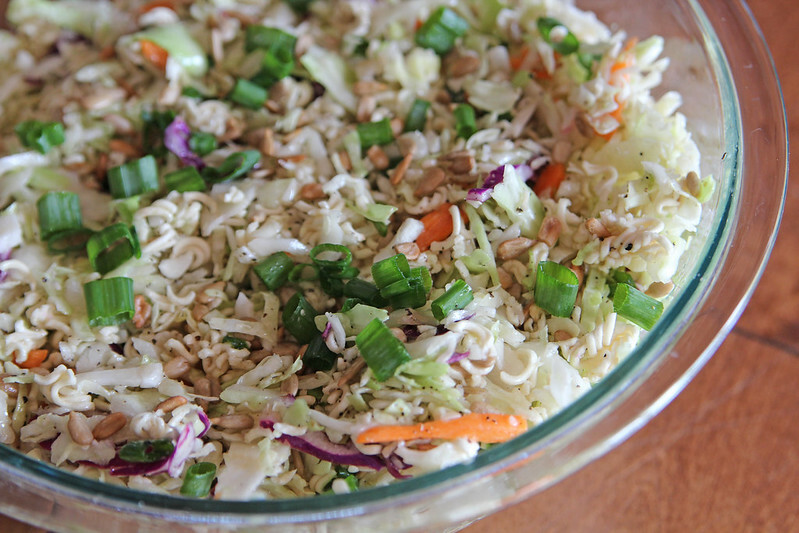 I don’t know why it’s called “Fumi Salad” but it has a coleslaw base with a rice vinegar dressing and crunchy ramen noodles – yum! You can mix your dressing ahead of time and set it in the fridge if you want, but the key to this salad is to mix it all and serve immediately. When ready to serve, place cabbage, sunflower seeds, crushed (uncooked) ramen noodles and green onion in large bowl. Pour dressing over salad, toss, serve immediately. If you try to assemble this salad before you are ready to eat it, the ramen noodles will go soft and soggy and it’s not pretty! If you wanted to take it for a potluck, you can put together the salad minus the ramen noodles and add them and the dressing before you serve. 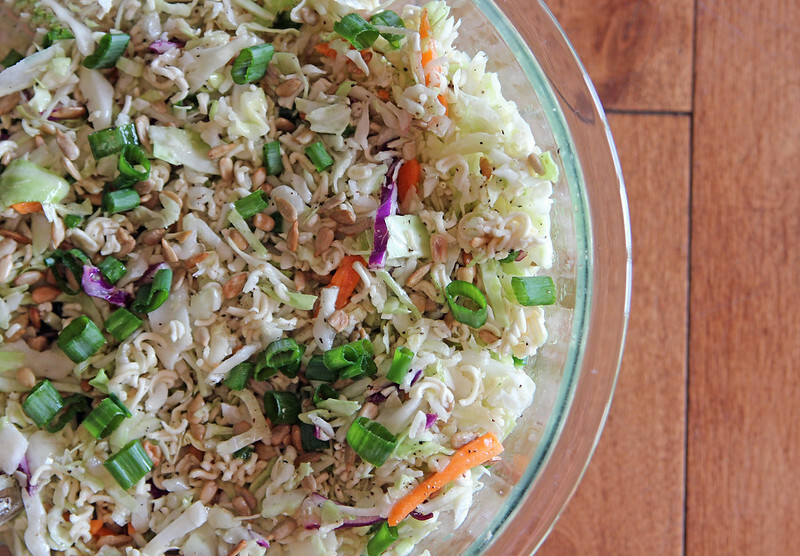 Also known as Fumi salad, this Asian coleslaw has a flavorful homemade dressing and is served with crunchy ramen noodles. A potluck favourite! Empty coleslaw into large bowl and add sunflower seeds, green onions and crushed package of uncooked ramen noodles (no seasoning!). Mix together really well the canola oil, rice vinegar, white sugar, pepper and salt for the dressing and drizzle over salad. Do NOT make this ahead of time, serve immediately.